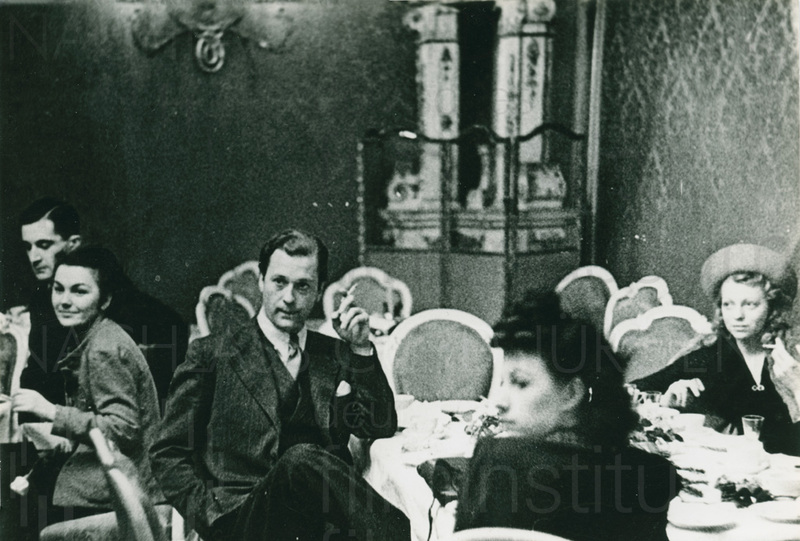 As a contemporary witness, I can remember Curd Jürgens’ debut film KÖNIGSWALZER particularly well, it being 1935 and the first talking picture I had ever experienced. 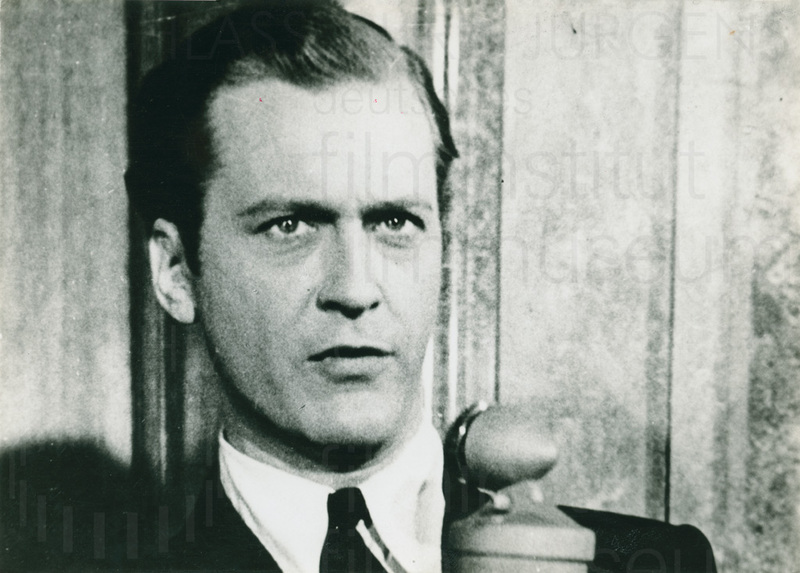 A clean attractive film by the director Herbert Maisch which was also the basis of his own career in film. 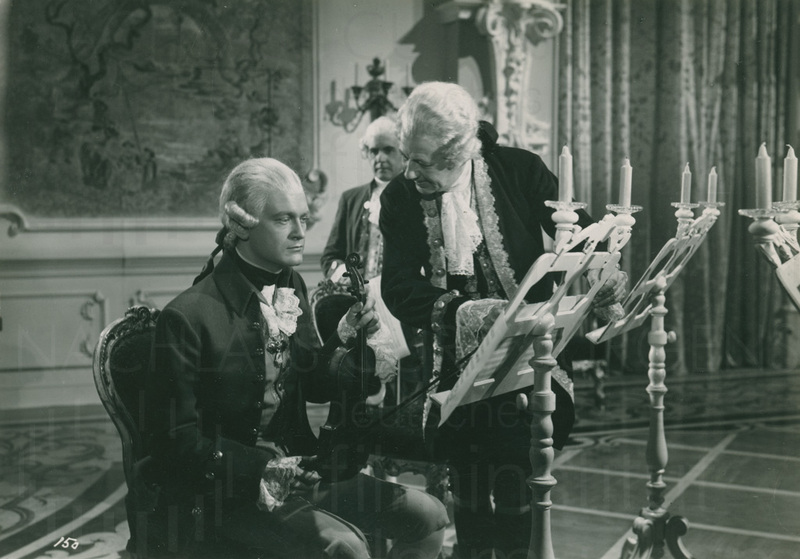 Playing alongside actors like Willi Forst, Heli Finkenzeller or Carola Höhn, Jürgens only appeared in two scenes: as the young Austrian Emperor Franz Joseph, he has a conversation with his friend Count Ferdinand Tettenbach, played by Willi Forst, and later – in a silent role – as His Imperial Highness; stately and proud, but at the same time natural and without any arrogance. 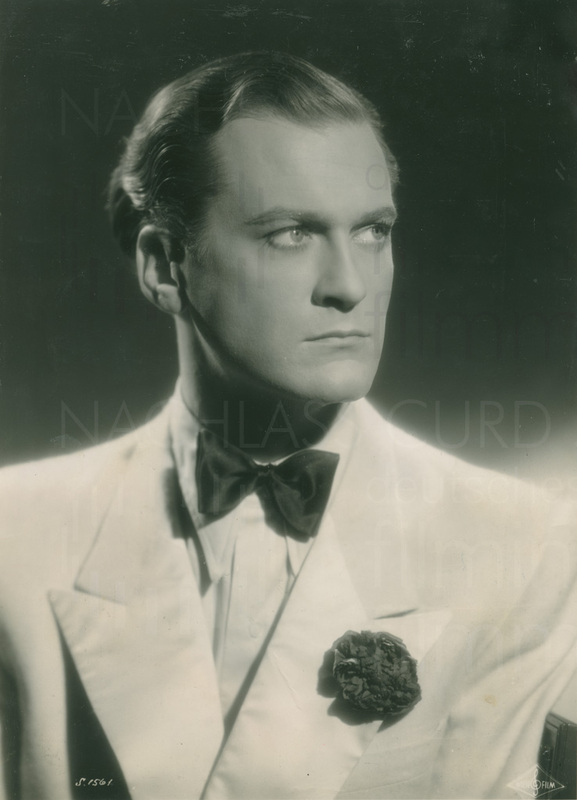 He passed his baptism on set and location, even though the film programme and official announcements had not even noted the particular spelling of his name. The Berlin première was on 23 September 1935 at the Ufa-Palast am Zoo. 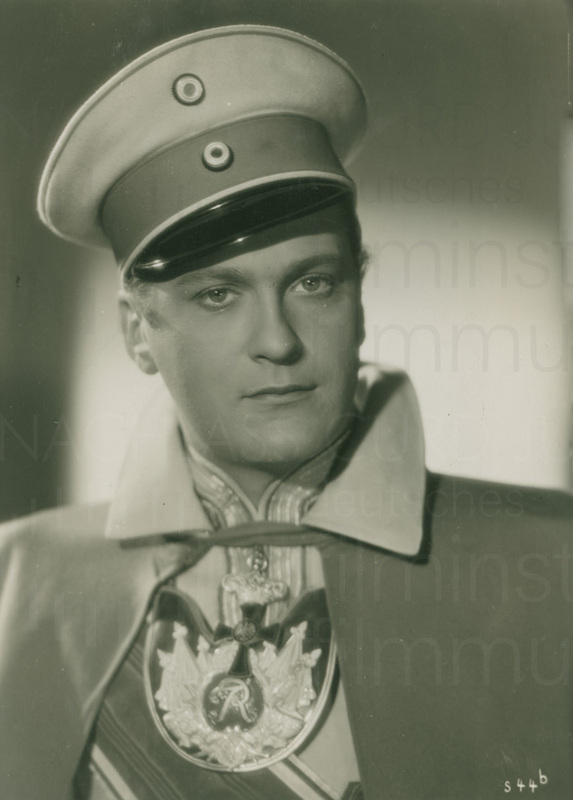 The film FAMILIENPARADE (1936, D: Fritz Wendhausen), also known by titles such as “Erik kontra Erik”, “Das fremde Gesicht” or “Die lieben Verwandten”, is based on the stage play “Kolportage” written by Georg Kaiser, a fact that was intentionally concealed at the time as it had already been made into a film in the silent era by Joe May. “Bravo!” is the first word Curd Jürgens speaks in this film. He plays the role of a fake count’s son and it is not difficult to shout out “Bravo” back to him. 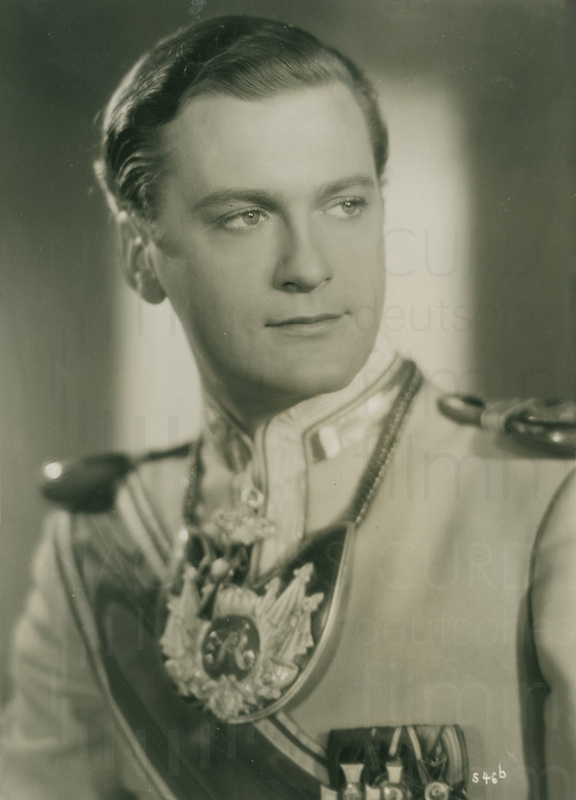 An acknowledgeable accorded to him, along with his co-partner Heinz Rippert, the real count’s son, also by the press with the reference: “Two new actors to watch”. Looking at the film, the praise would appear to be justified only for Curd Jürgens who in gesture, dialogue and presence is the more convincing. Only when it came to the matter of wages was there no impact yet. 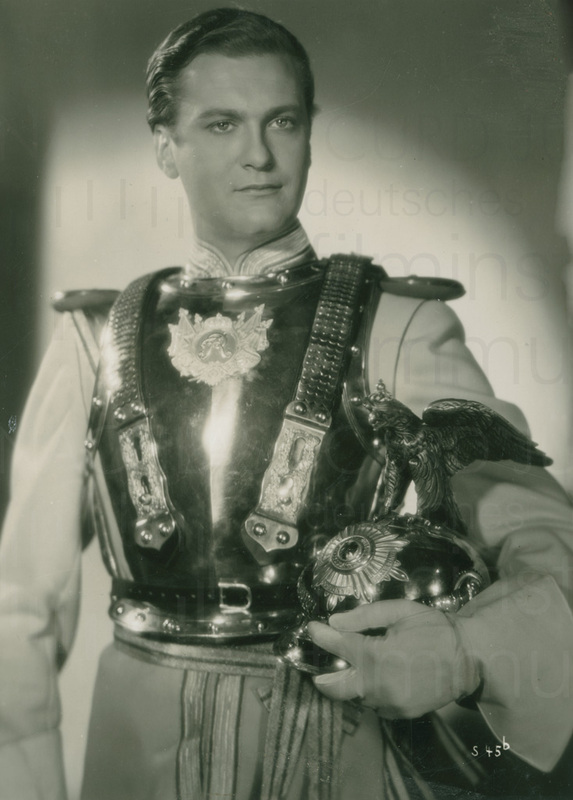 A surviving contract records only 750 Reichsmarks with an additional 150 Reichsmarks clothing allowance for this performance for what was essentially a starring role. 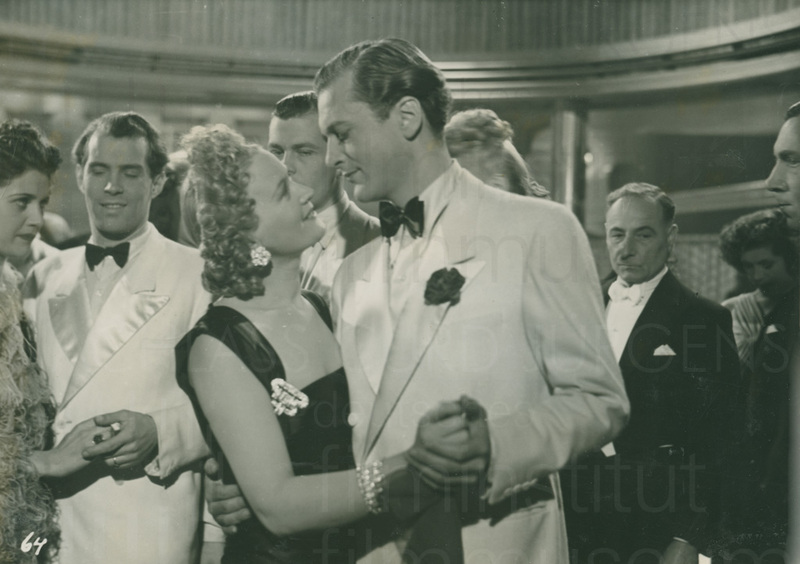 In TANGO NOTTURNO (1937, D: Fritz Kirchhoff), a film often overlooked by early film historians, his input as an actor in just two scenes barely goes beyond that of an extra. 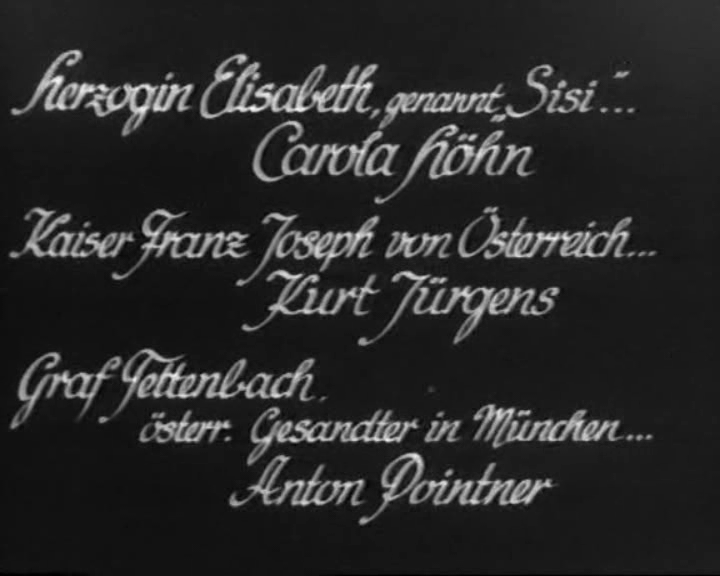 The film starred Albrecht Schoenhals und Pola Negri. 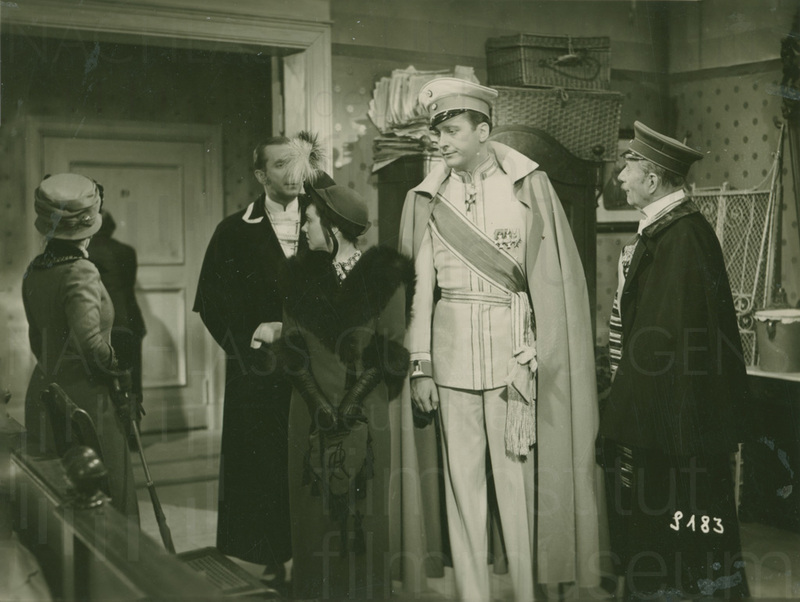 In the Zarah Leander film ZU NEUEN UFERN (D: Detlef Sierck), which premièred in August 1937 also at the Ufa-Palast am Zoo, Curd Jürgens was entrusted with the small speaking role of a dandy in London society at around the middle of the nineteenth century. If in general he is not particularly forthcoming in his reminiscences about the films he made up to the end of the war, here he makes an exception. 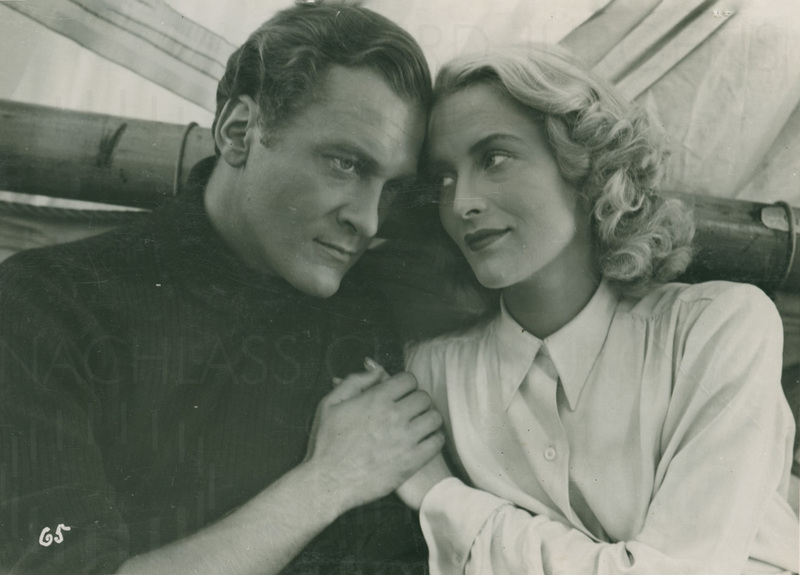 He is upfront in his admission that he repeatedly messed up the dance scene with the chanson-singer Gloria Vane, acted and sung by Zarah Leander. 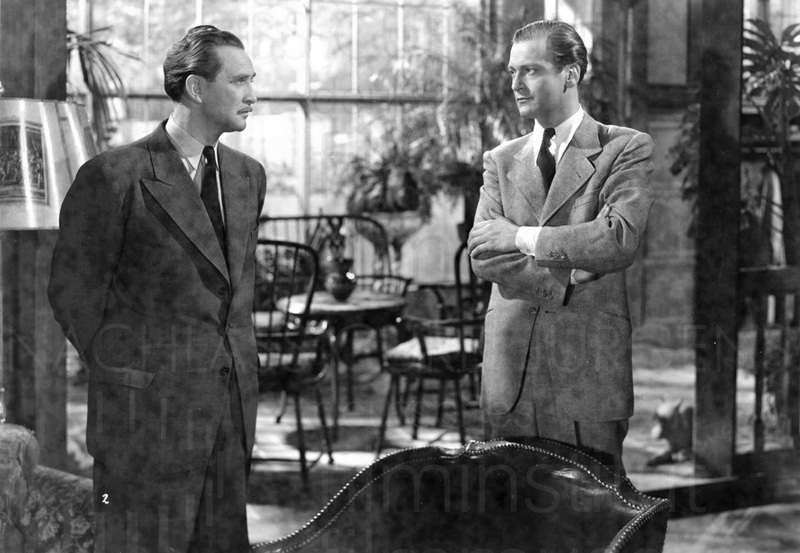 He misunderstood the pacing and delivery in the love scenes and it led to Leander making an unflattering comment about him in the presence of the recording crew. Strangely enough, it is now impossible to find this scene in the film. It must have disappeared, and certainly not by accident, on the cutting-room floor. SALONWAGEN E 417 (D: Paul Verhoeven) was first showed to the public in May 1939 at the Tauentzien Palast not far from KaDeWe (“Kaufhaus des Westens”), the famous Berlin department store. Helmut Käutner’s contribution in the scripting of this work by Paul Verhoeven can only be sensed in the cabaret-style episodic structure of the action plot about a Pullman car from earlier times, now withdrawn from service and placed in a museum. He tells his fellow exhibits about his fate, based on the epochs of German history. 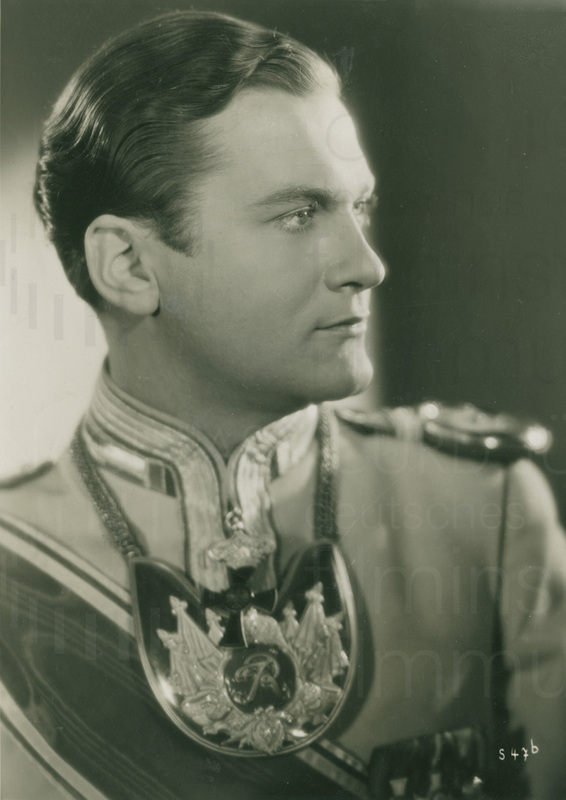 With short dialogues totally devoid of emotion, Curd Jürgens is the Prince of Hochheim-Gothenburg, a minor principality, and swaggers through the jovial plot in impressive blond magnificence, in his white uniform festooned with golden braid. On his arm he has a reluctant honeymooner, a dainty princess, who makes him look all the taller. Many scenes contain some hint of depth in spite of the light plot. 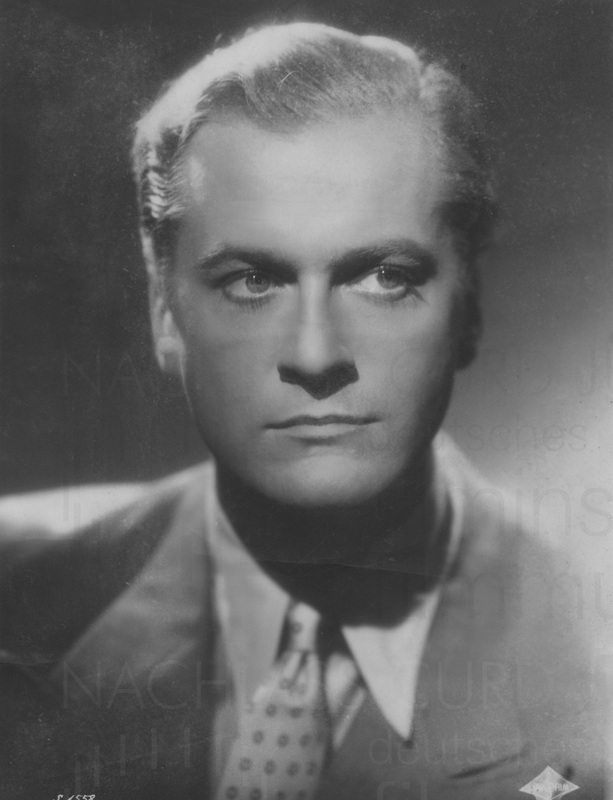 With OPERETTE (1940), Willi Forst’s masterpiece, which opened in the Gloria-Palast in January 1941 and ran for 77 days, Curd Jürgens was given the task of playing the composer Karl Millöcker, surrounded by illustrious fellow actors like Johann Strauß, Franz von Suppé, Alexander Girardi, Marie Geistinger and Emmi Krall, but above all Franz Jauner, who all made a notable contribution to the overall sound of this Viennese operetta. 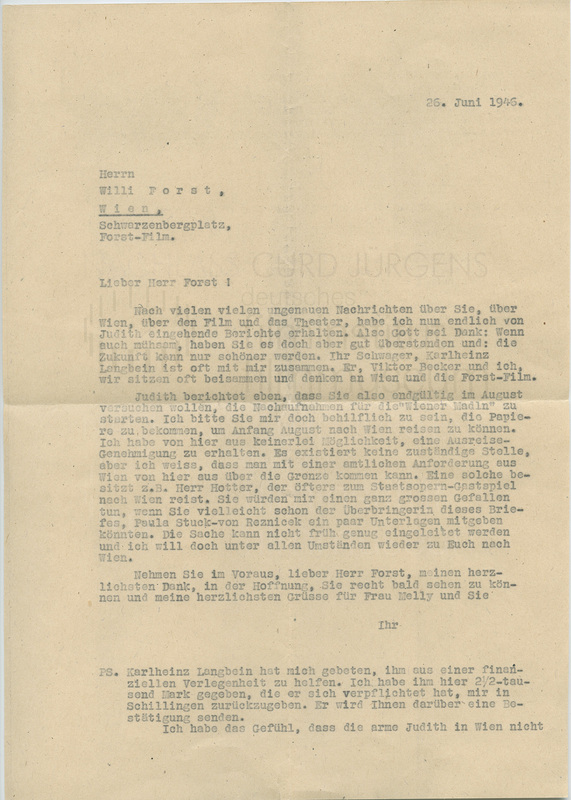 There is a clear sense here that Curd Jürgens managed to develop his role with great self-restraint, an opinion shared by the famous contemporary journalist Carl Linfert when he writes of Curd Jürgens’ finely-honed diffidence as Millöcker. 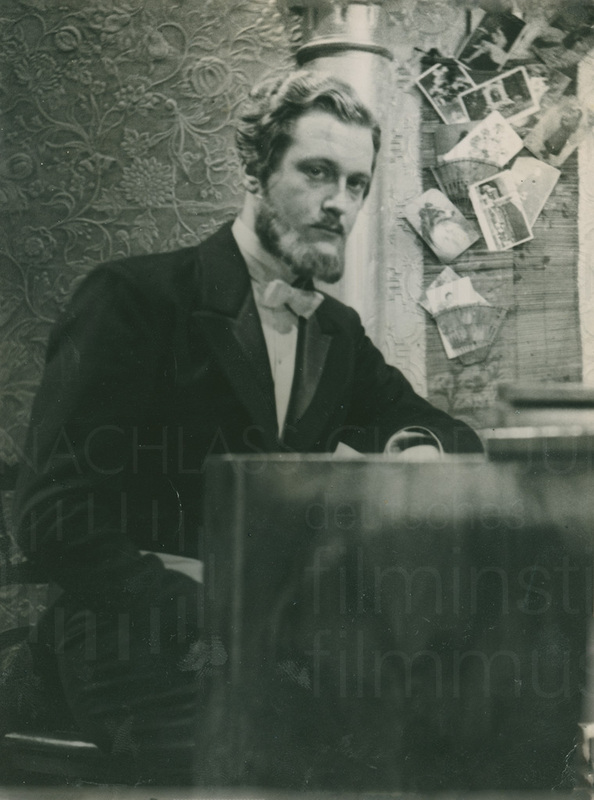 Although not mentioned either in the programmes or the opening credits, STIMME DES HERZENS (1942) is Ernst von Wildenbruch’s much-read short story “Francesca da Rimini” from 1901 brought to the stage and transposed to a time set between about 1906 and 1910. The story is set in an unnamed Hanseatic town. 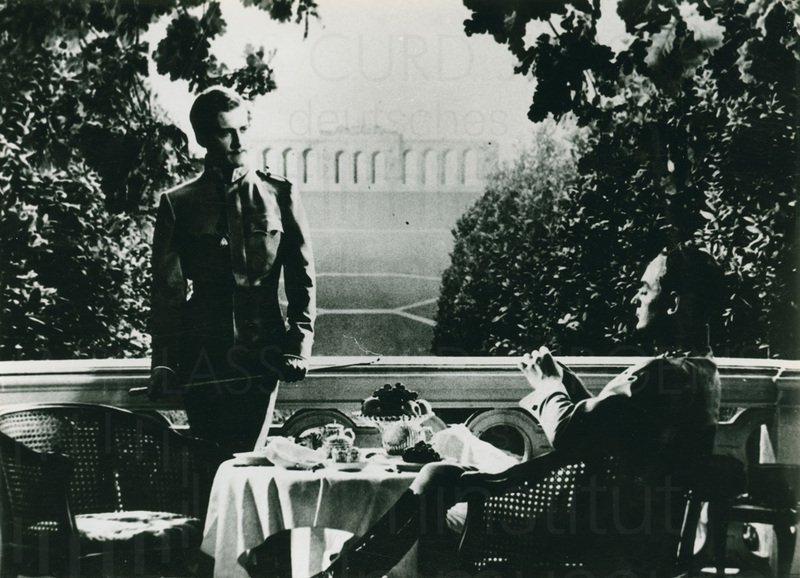 This role gave Curd Jürgens, who is hardly noted in the casting lists, a greater opportunity to be in the studio with notable fellow actors like Marianne Hoppe, Carl Kuhlmann and Eugen Klöpfer and work under the sensitive direction of Johannes Meyers. 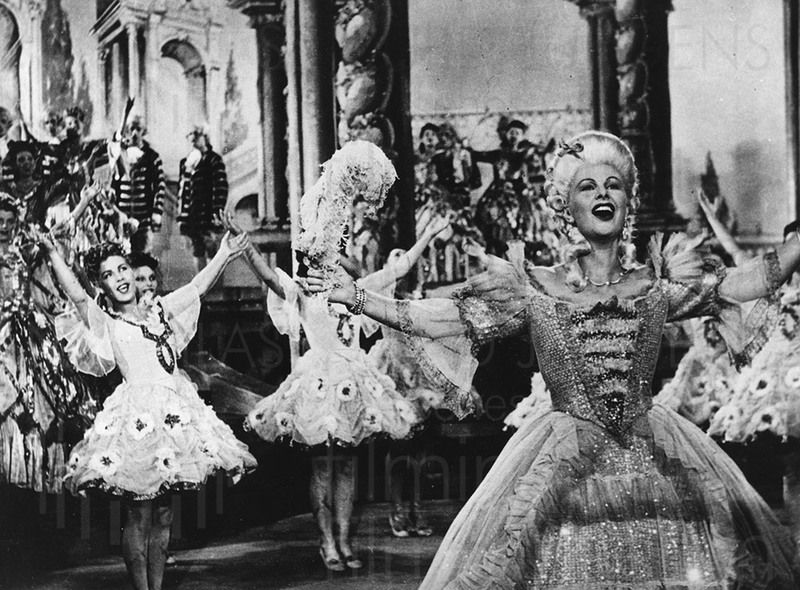 The world première took place in the Capitol am Zoo in October 1942 with the film running for 23 days. 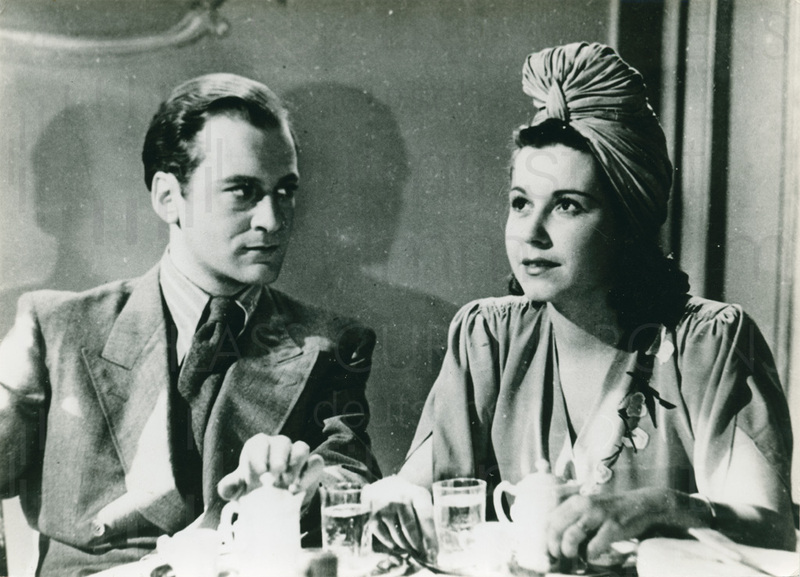 FRAUEN SIND KEINE ENGEL (1943): The director Willi Forst asserted this once again in his film. The purported discoverer of Curd Jürgens, he successfully gave the actor his first continuous screen role. 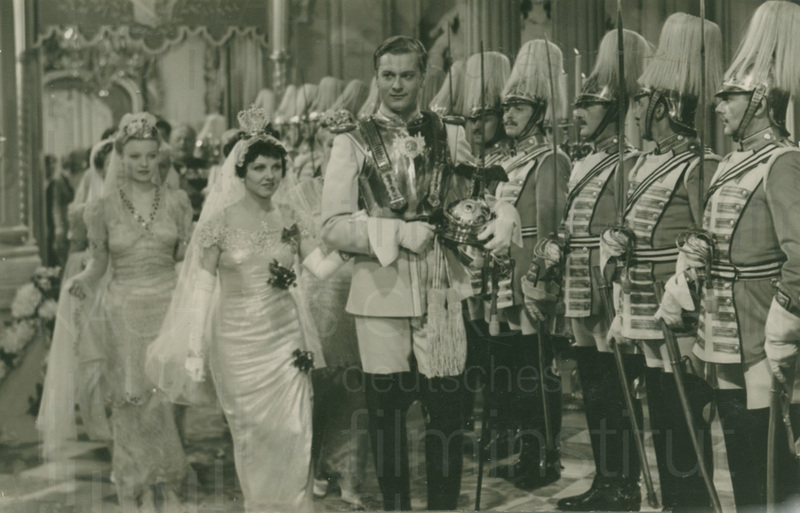 The action featured clever and witty dialogue and was helped by such accomplished actors as Marte Harell, Hedwig Bleibtreu, Axel von Ambesser or Richard Romanowsky. It had two strands, one that was apparently crime-based, and the other society-based, with the latter ultimately winning. 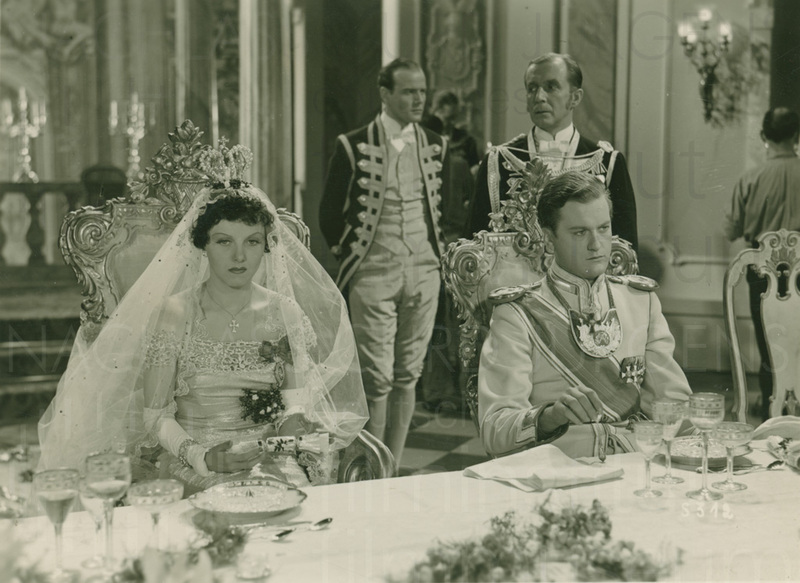 The film opened on 20 July 1943 in the Marmorhaus in Berlin and was rewarded by the public for its sparkling, humorous and atmospheric subject matter with a run of 28 days. 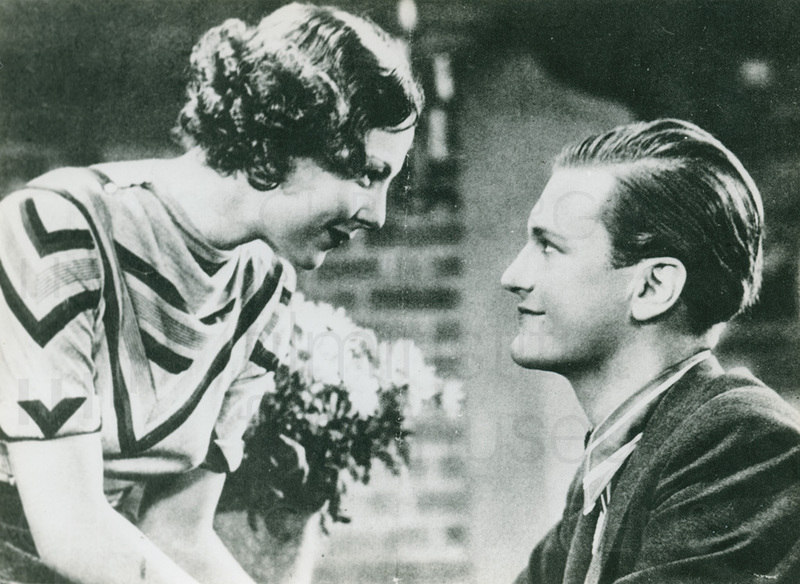 The final title EIN GLÜCKLICHER MENSCH (1943) was preceded in the production phase by others like “School of Life” or “The Fantastic Professor”. It was also originally envisaged that Emil Jannings would play the professor. 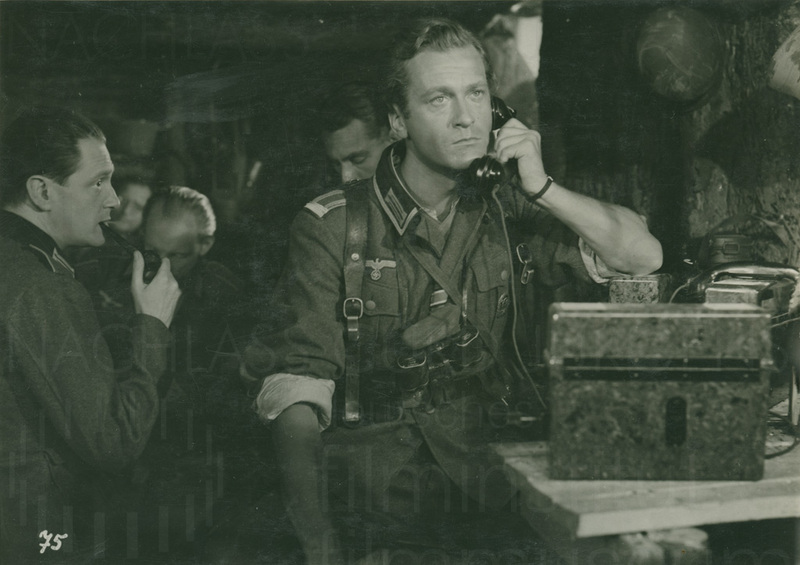 From personal acquaintance with Paul Verhoeven’s film, I am of the opinion, however, that Ewald Balser was the better casting, better even compared with the earlier versions made in 1935 in Sweden and 1946 in Denmark. 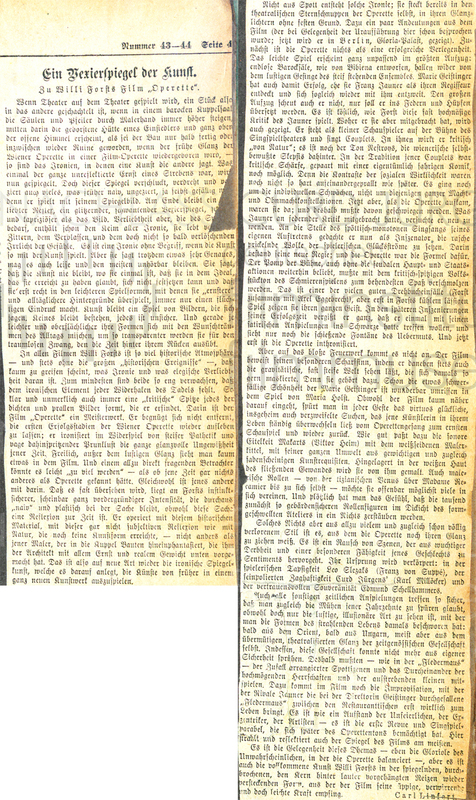 The material is based on Hjalmar Bergman’s 1925 stage play “Swedenhielms” which did not come out in German translation until 1940 as “Der Nobelpreis.” Curd Jürgens’ role as the newspaper reporter Petersen and would-be son-in-law of the professor boasts numerous dialogue scenes imbued with winning presence that were rewarded with 5000 Reichsmarks inclusive of remuneration for rehearsals. 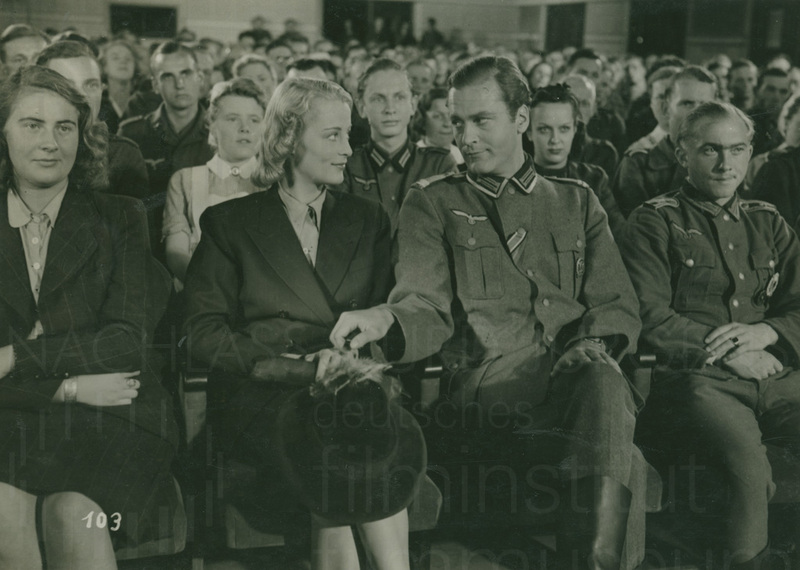 With its world première at the Ufa Palast am Zoo in Berlin in the middle of October 1943, the film ran for 26 days. 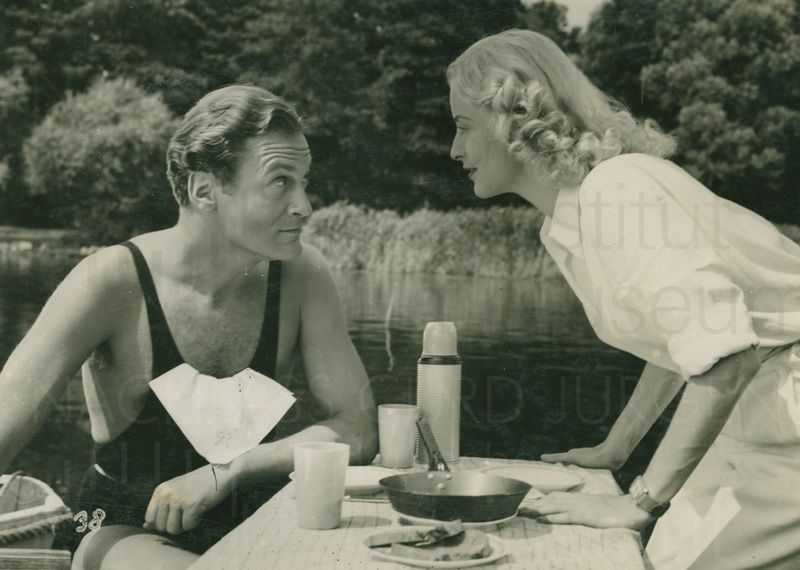 With the film EINE KLEINE SOMMERMELODIE (1944) Jürgens was given a starring role alongside the already successful, pretty young blond actress, Irene von Meyendorff, under the direction of the actor-director Volker von Collande. Under normal conditions, it would certainly have resulted in him being built up into a star with the Tobis film company, as should have been expected after FAMILIENPARADE. But it was war time. 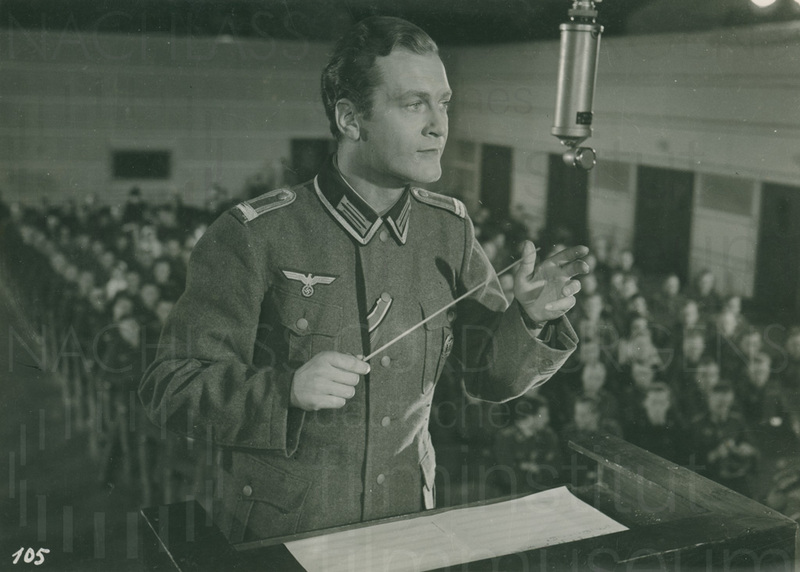 As a soldier on short-term leave, in civilian life a composer, he is given the chance of making a recording in the radio centre in Berlin. 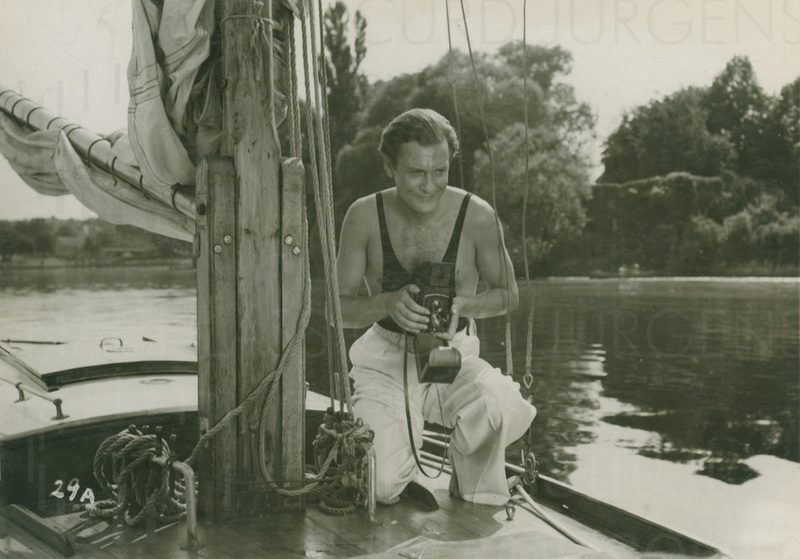 He meets and falls in love with a young telephonist, spends a weekend with her on a sailing boat on the River Havel. They lose contact with each other because he must return to the front, only knowing each other’s first name. 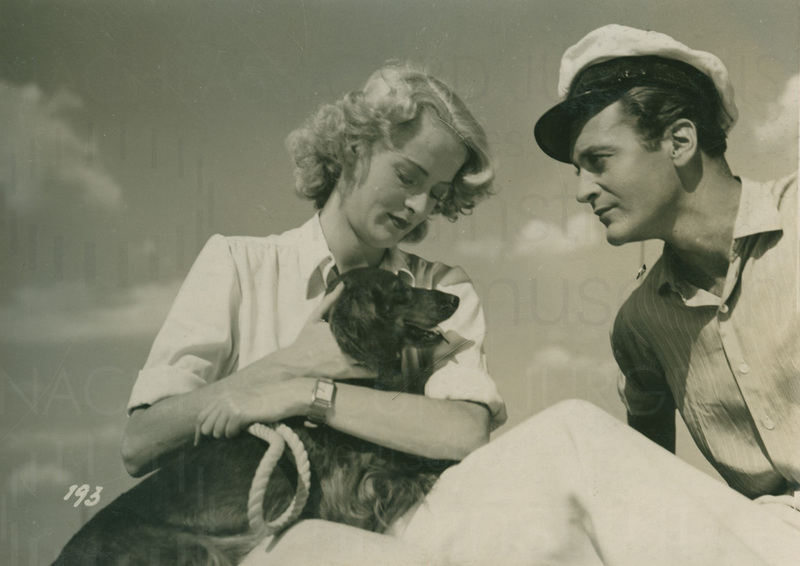 Years later – meanwhile she has become a reporter’s assistant and he is in the field hospital – they find each other again thanks to an armed forces radio music programme playing the song “Eva-Maria” which he had composed in memory of the weekend they had spent together, and there is a happy ending. 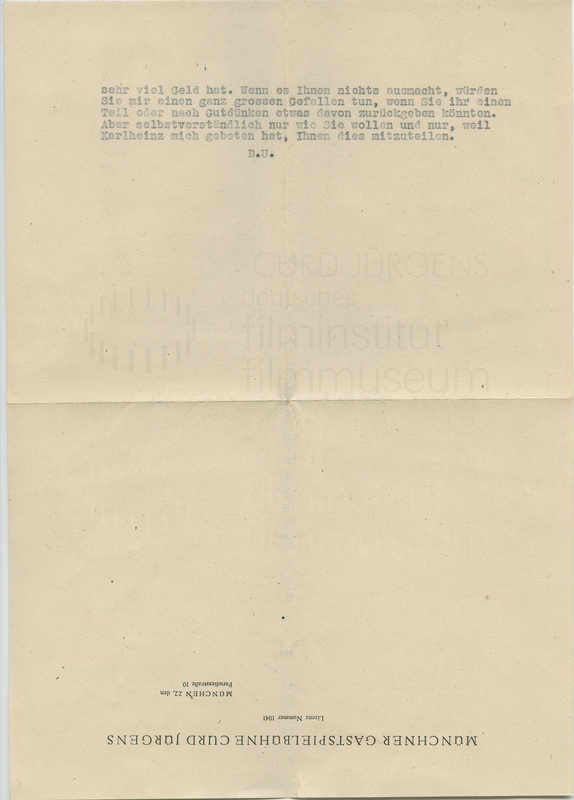 The film was released by the censors on 17 April 1944 and a promotion and press booklet had already been prepared – curiously there is mention made of the “new face in film Curd Jürgens” although he had already appeared in a dozen films. But the film never had a première or distribution. The reason was – though official sources of course never admitted it expressly – that historical and military-geographical references made in the scenario at the time the film was made could not be reconciled with present realities and would not be accepted by the audience without criticism. Irrespective of this, the film contains an astonishing number of improbabilities, and even downright impossibilities, in form and content which reflects badly on its authors. 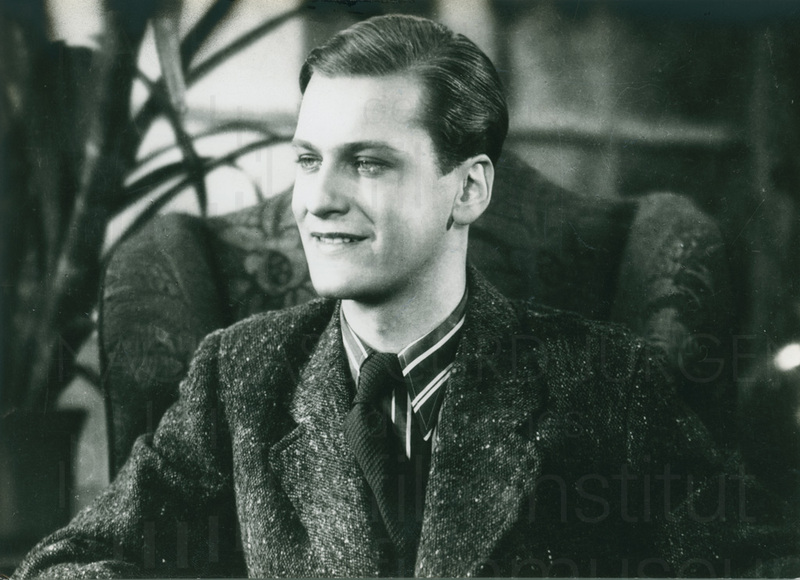 However, Curd Jürgens was spared having to appear in public at the time, wearing a sergeant’s uniform. The last film we are going to look at WIENER MÄDELN (1945) which was also was not shown before the end of the war. 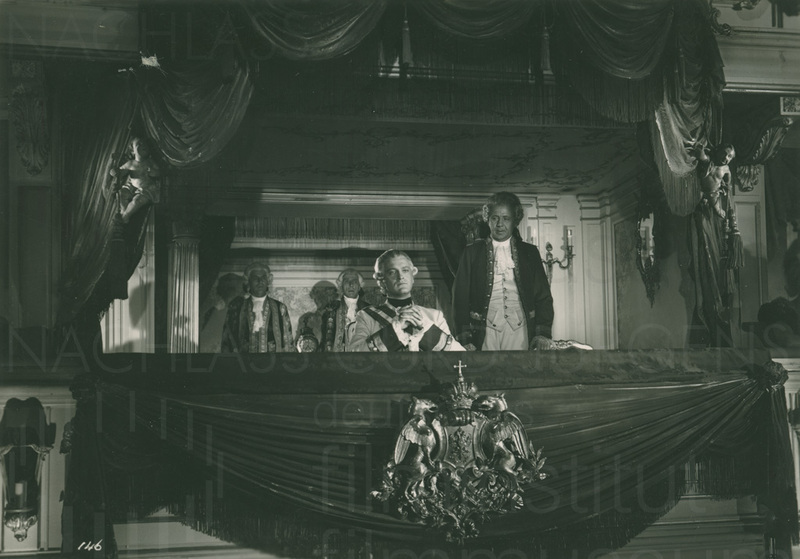 The cut was only finished at a later date, the film having its world première in August 1949 in East Berlin. 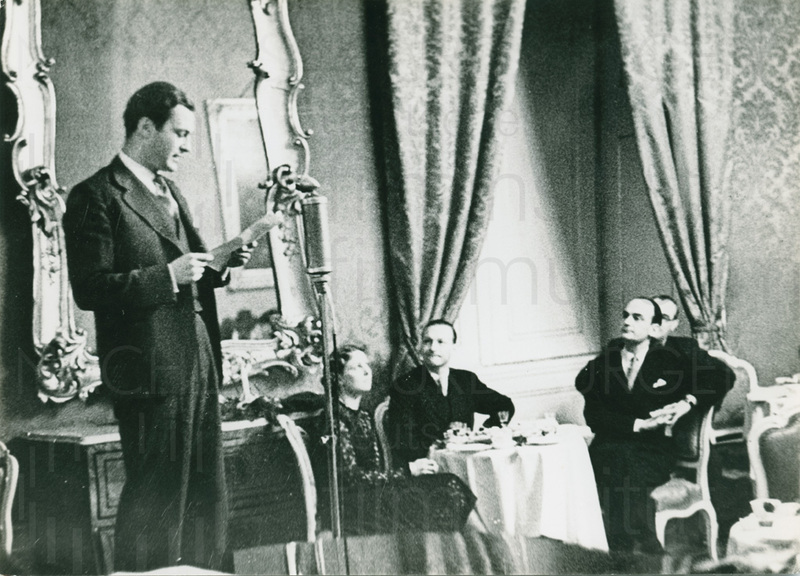 It was first shown in Munich and Frankfurt am Main in February 1950. This twelfth and last completed colour film of “The Great German Reich” – an outstanding work conceived, written and staged by Willi Forst. It is an appraisal of the Austrian composer Carl Michael Ziehrer. We see with astonishment, exemplified by this film, what they could still manage to bring to the camera by way of sets in the last two years of the war. 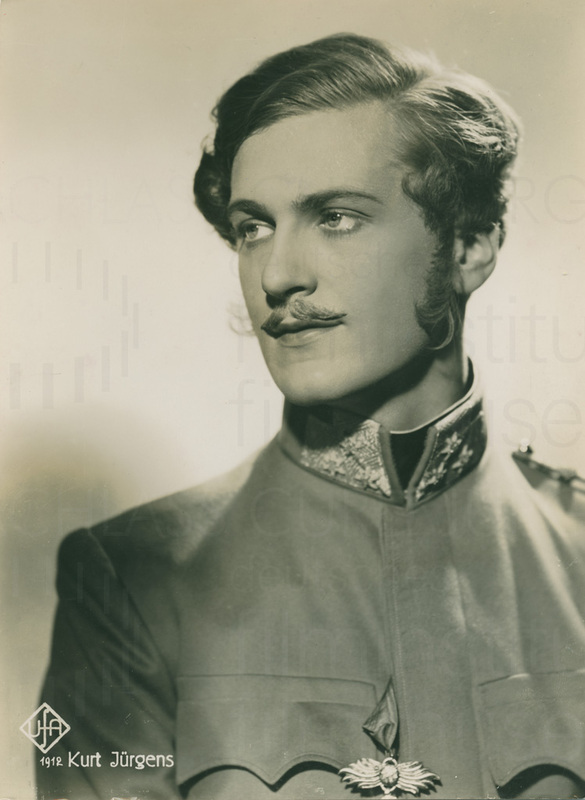 In this fourth film which united him with the man who had discovered him, Willi Forst, Curd Jürgens was cast in the role of a Count Lechenberg, first as a young, engagingly handsome and suave aristocrat, later as a dignified Austrian ambassador beginning to turn grey at the temples, in the course of an international exhibition in Christiania (Oslo) during the 1870s. Nach vielen vielen ungenauen Nachrichten über Sie, über Wien, über den Film und das Theater, habe ich nun endlich von Judith eingehende Berichte erhalten. Also Gott sei Dank: Wenn auch mühsam, haben Sie es doch aber gut überstanden und: die Zukunft kann nur schöner werden. Ihr Schwager, Karlheinz Langbein ist oft mit mir zusammen. Er, Viktor Becker und ich, wir sitzen oft beisammen und denken an Wien und die Forst-Film. Judith berichtet eben, dass Sie also endgültig im August versuchen wollen, die Nachaufnahmen für die „Wiener Madln“ zu starten. Ich bitte Sie mir doch behilflich zu sein, die Papiere zu bekommen, um Anfang August nach Wien reisen zu können. Ich habe von hier aus keinerlei Möglichkeit, eine Ausreise-Genehmigung zu erhalten. Es existiert keine zuständige Stelle, aber ich weiss, dass man mit einer amtlichen Anforderung aus Wien von hier aus über die Grenze kommen kann. Eine solche besitzt z.B. Herr Hotter, der öfters zum Staatsopern-Gastspiel nach Wien reist. Sie würden mir einen ganz grossen Gefallen tun, wenn Sie vielleicht schon der Überbringerin dieses Briefes, Paula Stuck-von Reznicek ein paar Unterlagen mitgeben könnten. Die Sache kann nicht früh genug eingeleitet werden und ich will doch unter allen Umständen wieder zu Euch nach Wien. PS. Karlheinz Langbein hat mich gebeten, ihm aus einer finanziellen Verlegenheit zu helfen. Ich habe ihm hier 2 1/2 –tausend Mark gegeben, die er sich verpflichtet hat, mir in Schilling zurückzugeben. Er wird Ihnen darüber eine Bestätigung senden. Ich habe das Gefühl, dass die arme Judith in Wien nicht sehr viel Geld hat. Wenn es Ihnen nichts ausmacht, würden Sie mir einen ganz grossen Gefallen tun, wenn Sie ihr einen Teil oder nach Gutdünken etwas davon zurückgeben könnten. Aber selbstverständlich nur wie Sie wollen und nur, weil Karlheinz mich gebeten hat, Ihnen dies mitzuteilen. Ich habe leider bis heute noch nicht die Anforderung erhalten, ohne die ich unmöglich nach Wien kommen kann. Bitte, lieber Herr Forst, seien Sie doch so gut und reichen Sie die Anforderung umgehend ein, am besten, soweit ich informiert bin, bei Herrn Wolfgang Wolf und wenn Sie diesen noch bitten könnten, in München in der Bavaria anzurufen und dort mitzuteilen, dass ich in Wien zu Synchronisations-Aufnahmen Ihres Filmes gebraucht werde, könnte ich sehr bald in Wien sein. Es besteht leider keine andere Möglichkeit für mich, sonst nach Wien zu kommen und eine ordentliche Einreise zu erhalten. Ich habe jetzt alles so eingeteilt, dass ich zu diesem Termin unbedingt abreisen möchte. Wie Sie ja, glaube ich, wissen, erwartet mich auch Aslan in dieser Zeit und die Entscheidung über die ganze bevorstehende Zukunft muss jetzt während meines, hoffentlich zustandekommenden Wiener Aufenthalts fallen. Although there are demonstrable gaps, amongst them one short feature film, which will be the subject of subsequent potentially interesting additions later, I would now like to close these reflections on the catalogue of Curd Jürgens’ first ten years in film. 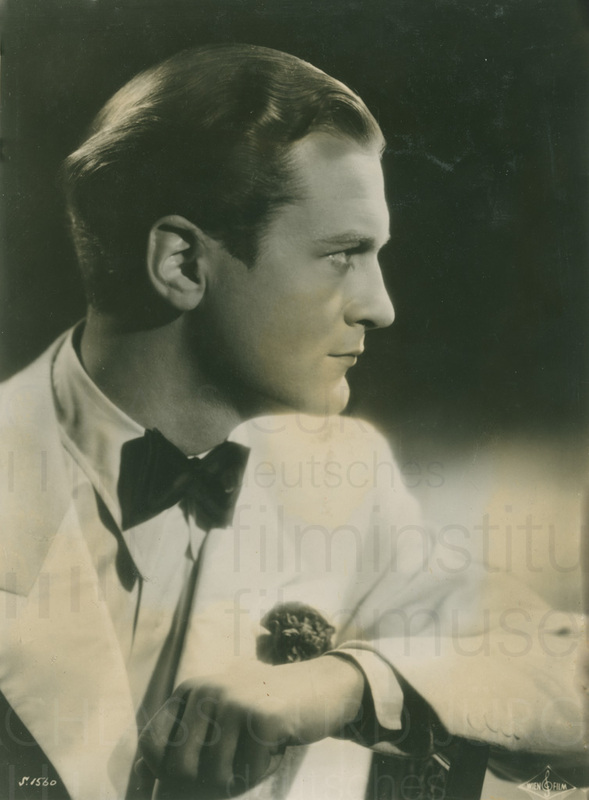 In any case, it can be taken as proven that Curd Jürgens’ film career had already had a powerful start with more than a dozen films before 1945. 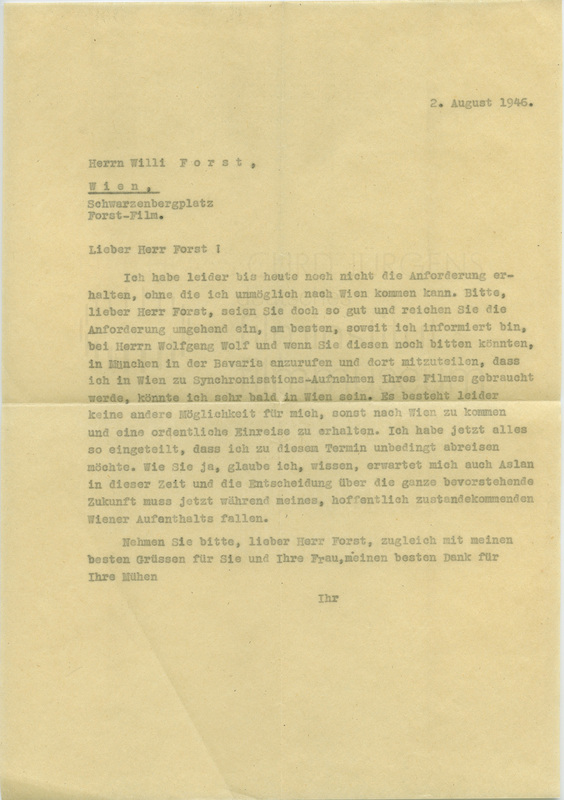 Extract from: “Berlin and Vienna. Sketches regarding a Career 1935-1945” of Eberhard Spiess. In: Hans-Peter Reichmann (ed. ): Curd Jürgens. Frankfurt am Main 2000/2007 (Kinematograph No. 14). [i] See: Curd Jürgens: … und kein bißchen weise. Autobiographischer Roman. Locarno 1976, p. 177-179.